Saraswat Bank Junior Officer Admit Card 2018: The higher authority of Saraswat Co-Operative Bank Limited will release the Saraswat Bank Junior Officer Admit Card 2018 very shortly at their official website. Candidates who are searching for the Saraswat Bank Junior Officer Admit Card 2018, they can stop your searching and take a look at this article once. Through this webpage, we had furnished the importance of the Hall Ticket, information on the Admit Card, essential documents for the examination, and downloading steps in a detailed manner. So candidates can read this article entirely and catch all valuable information about the SCB JO Hall Ticket 2018. The Saraswat Co-Operative Bank Limited will dispatch the Saraswat Bank Junior Officer Admit Card 2018 few days before of the examination. So, candidates who are willing to participate in the Saraswat Bank Junior Officer Exam for Junior Officer – Grade B ( Marketing & Operations) positions, they can download the SCB JO Hall Ticket 2018 from here. The Saraswat Bank Junior Officer Admit Card 2018 is a compulsory document for the Saraswat Bank Junior Officer Examination 2018. Therefore all the applicants without fail must appear for the SCB JO Exam along with SCB JO Hall Ticket 2018. Candidates can scroll down this article thoroughly to know much more needful information about the SCB JO Hall Ticket 2018. The Saraswat Bank Junior Officer Admit Card 2018 will be available through online at the official website of the Saraswat Co-Operative Bank Limited at www.saraswatbank.com. Aspirants need to download the SCB JO Hall Ticket 2018 by providing the login credential information like Registartion ID, Date of Birth or Password details. Recently the Saraswat Co-Operative Bank Limited issued a recruitment notification for the 300 vacancies of Junior Officer – Grade B ( Marketing & Operations) posts. For this Saraswat Bank Junior Officer Recruitment 2018, the application process started on 23rd May 2018 and the application process end date on 4th June 2018. Aspirants who have a passion for working in the Saraswat Co-Operative Bank Limited organization, they should apply for the Saraswat Bank Junior Officer Recruitment 2018 through online on or before 4th June 2018. The Saraswat Co-Operative Bank Limited is premier Multi-State and the largest Bank among the Co-operative Banks in India has a large network of 281 fully computerized branches located in six states, i.e., Maharashtra, Goa, Karnataka, Madhya Pradesh, Gujarat and New Delhi. The Saraswat Co-Operative Bank Limited is now looking for energetic and dynamic candidates, residing in the multiple regions. So candidates must utilize this great opportunity. To sort of the talented candidates, the Saraswat Bank management conduct the written exam in upcoming months. So all the contenders attened for the written exam with Saraswat Bank Junior Officer Admit Card 2018. The Saraswat Bank Junior Officer selection process contains Written Exam and Interview. Candidates who will clear the first round written test they will promote to the further selection rounds. Aspirants can also check the official website of the Saraswat Co-Operative Bank Limited to know more information about the selection process. The Saraswat Bank Junior Officer Admit Card 2018 will play a vital role in the Saraswat Bank Junior Officer Examination 2018. Aspirants should download the SCB JO Hall Ticket 2018 after official declaration. By seeing the Admit Card, Competitors will come to know about the exam date, time and venue. 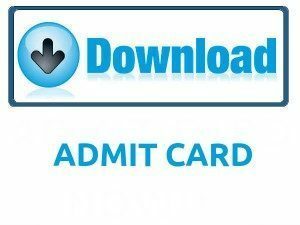 Test Participants need to download the Saraswat Bank Junior Officer Admit Card 2018 few days before of the SCB JO examination. Till date, the official didn’t declare any date related to the Saraswat Bank Junior Officer Admit Card 2018 release date. Afte official announcement we will update the exact link on this article. Aspirants can revise preparation for the SCB JO Exam until the exam date is approached. Competitors are suggested to attend the examination center at least 20 minutes before the examination. Aspirants if you have any doubts related to the downloading process, then take a look at the below-provided downloading steps. Saraswat Co-Operative Bank Limited homepage will open on the screen. Search for the Saraswat Bank Junior Officer Admit Card 2018 link on the main page. Now SCB JO Hall Ticket 2018 open on the screen. We ensure through this article we covered all vital information about the Saraswat Bank Junior Officer Admit Card 2018. Hope this post is handy for the candidates who applied for the Junior Officer – Grade B ( Marketing & Operations) in the Saraswat Co-Operative Bank Limited organization. To download the SCB JO Hall Ticket 2018, contenders just hit on the link mentioned above. For more upcoming updates about the Saraswat Bank Junior Officer Admit Card 2018 follow our website Sarkari Naukri regularly.